"Vince is the sporting equivalent of Ben and Jerry’s. A short but gorgeous hit of the good stuff. But is uncommonly bad for you in the end." England started the Test match summer with a familiar conundrum: the never-ending search for an opening partner for Alastair Cook. They could end it with three more in an apparent effort to be cricket's version of the Bumper Book of Puzzles. The futures of Cook, Keaton Jennings and Ollie Pope are all in doubt suggesting a batting crisis of unprecedented proportions. It is not unusual for sports teams to go throw a period of transition, resulting in turbulence, but even for an England team renowned for batting foibles, this is really something. The fourth, in case you've forgotten, is: who will be their spin bowler? Of course for those who remember the days in the 90s when England fielded almost a different top five every week (the likes of Alan Wells getting a cap and a recall for Bill Athey spring to mind), this is nothing. In a way, it shows how far England have come. But by Jove they're in a mess. 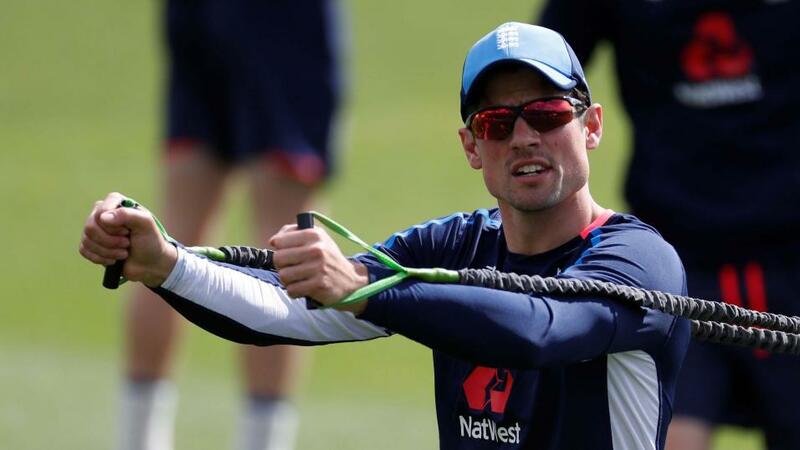 The shortage of runs coming from Cook, Jennings and Pope may not cost England the series against India. Each match so far has, when looking at it rationally, been decided by which team has had the best of conditions. Regardless of the weaknesses in the home team, it is tough to write them off for game three (England are [2.1], India [2.94] and the draw is [5.3]). England still lead with two to play. But doubts about three of their top five will surely catch up with them in the near future. Not least because of the answers they blurt out in a panic. With Jonny Bairstow an injury doubt for next week's third Test in Southampton, James Vince was called up to the squad. Vince is a tried and trusted failure at Test level. He has made three half centuries in 22 attempts. He is a gorgeous strokemaker and for 20 or 30 minutes he can have you in raptures. But the man is the sporting equivalent of Ben and Jerry's. A short but gorgeous hit of the good stuff. But is uncommonly bad for you in the end. Vince's recall reinforces the point this column has made before: the cupboard is bare. It is why Ed Smith, the new national selector honcho, has resorted to some funky policies. Like calling up Jos Buttler because he whacked a few 50s in the Indian Premier League. And asking Adil Rashid if he had his whites in the car, as if he had spotted him in the crowd. Smith's gamble on Buttler, as we said previously, was calculated and it looks to have paid off. There were gambles prior to him taking the gig. Dawid Malan, jettisoned earlier in the summer, was another who had made his name in Twenty20. He didn't cut the mustard, despite a decent Ashes showing. Vince's return will give him heart. The paucity of talent for England to call on is probably good news for Cook and Pope. It doesn't matter how many runs they do or do not score because the list of candidates to come in and have a go is increasingly short. Despite a Test average of 19 in 2018, one 50 in his last 14 innings and one century in his last 24, Cook is bombproof. Dropping Cook is akin to Theresa May sanctioning a second referendum on Brexit. Of course when Cook does get another Test century (in about 24 innings' time), the smart arses will go 'see, you can never write off Cook'. Just as in the same way that, in about 50 years, Brexit was the right call because Britain has signed a multi-billion pound widget trade deal with some godforsaken hole. As for Jennings, his insistence on wearing lead diving boots at the crease, renders little sympathy. His numbers are sinking fast, too. He's averaging 23 in 10 Tests, 17 if you ignore the 112 against India in Mumbai on a road in his very first innings and it's no fifties in 14. His recall, after being dropped last summer, is particularly baffling because there is no evidence that he has solved his chronic lack of foot movement. Another wasted summer for England as they tread water in their development then. Not a team in transition at all, in fact. One that, eventually, is going to bonk their head on the bottom rather nastily. Ahead of a November tour in Sri Lanka, when they play three Tests, it is criminal that England still don't know who their best spin option is. Considering their inclination to go back to past picks, it is perhaps a shame that Graeme Swann has signed up for Strictly. England will probably come out on top this summer but another winter nightmare is just around the corner.